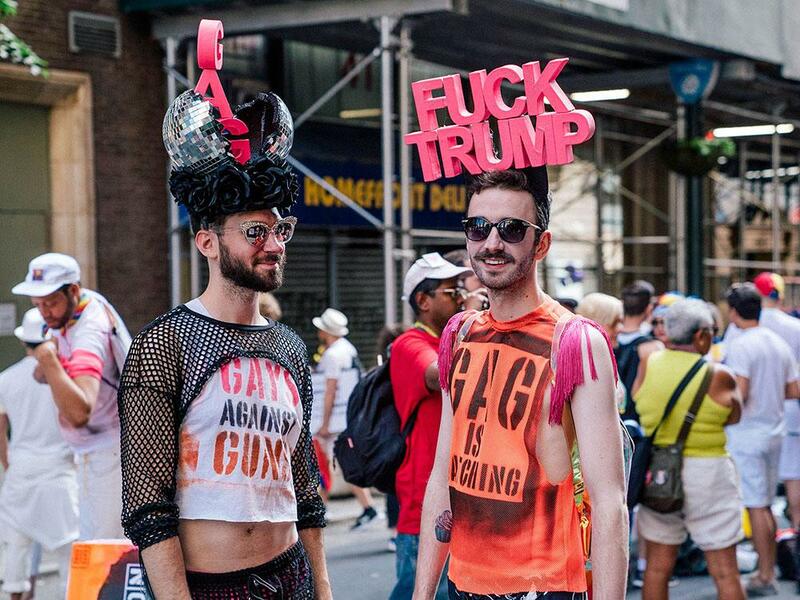 Photos from NYC Pride march 2017. 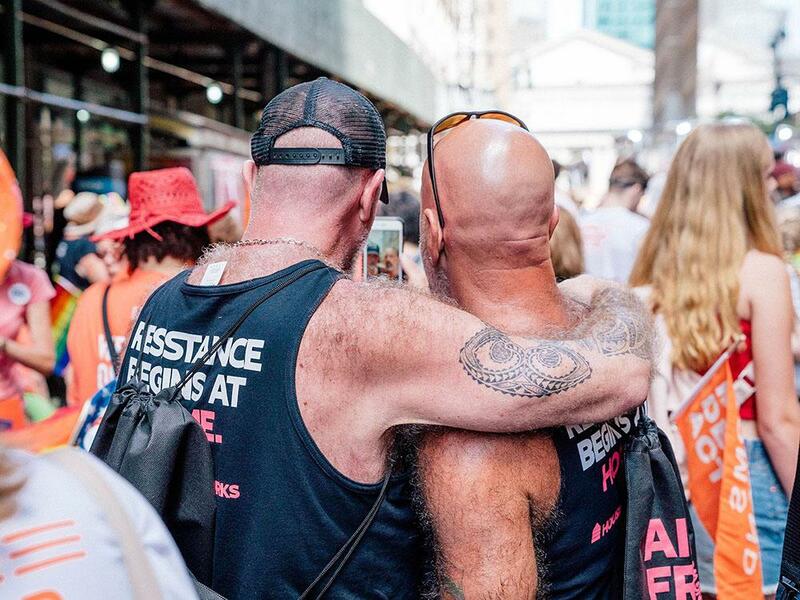 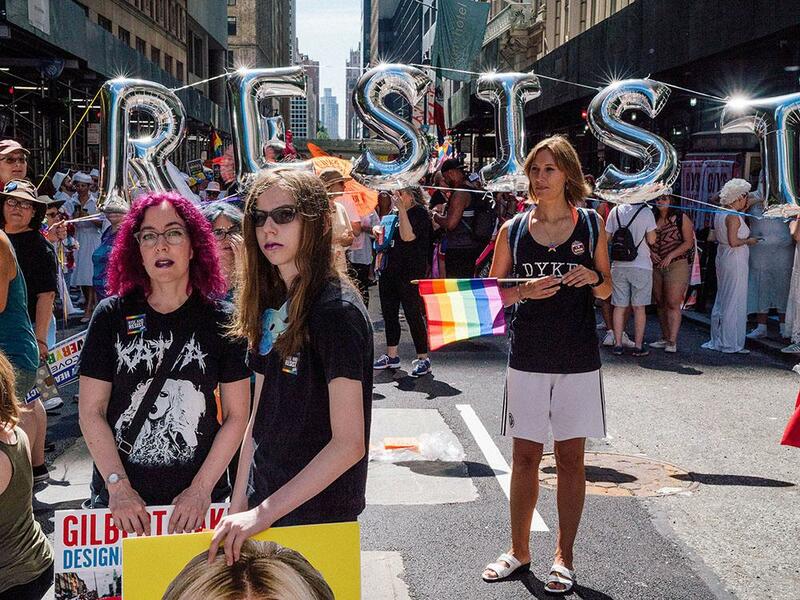 Led by balloons spelling out RESIST, New York’s 2017 Pride March on Sunday exemplified all that has been accomplished by the LGBTQ movement since the galvanizing Stonewall riots of 1969. 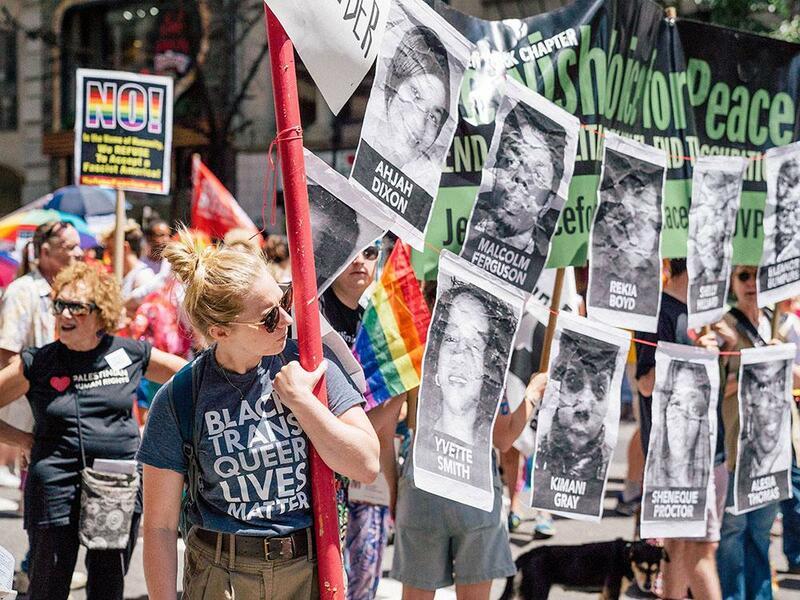 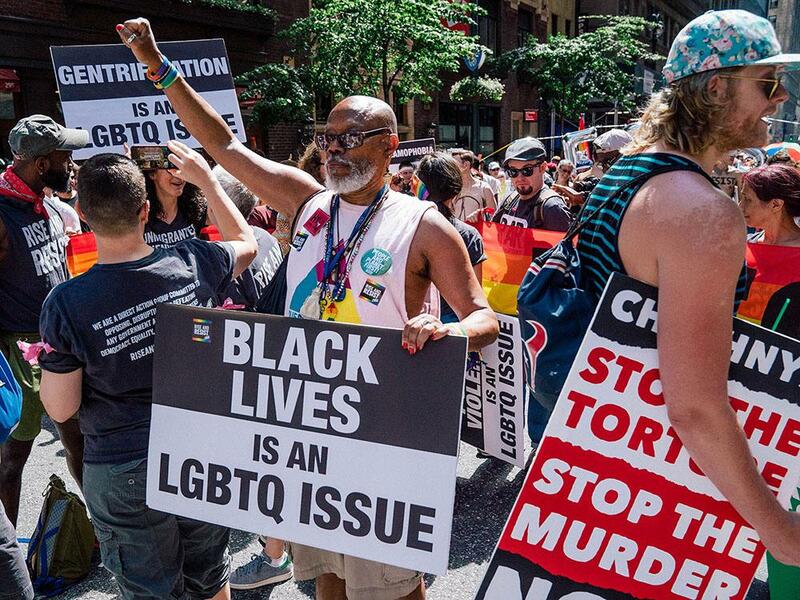 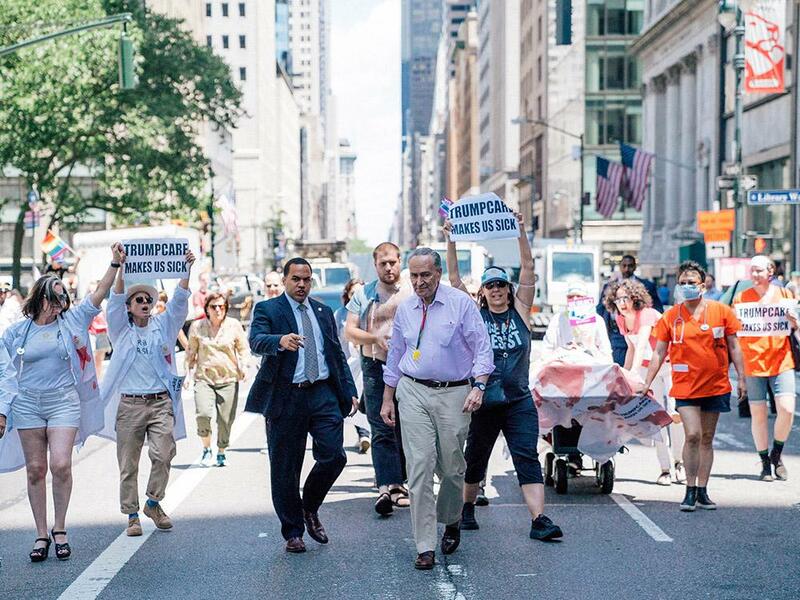 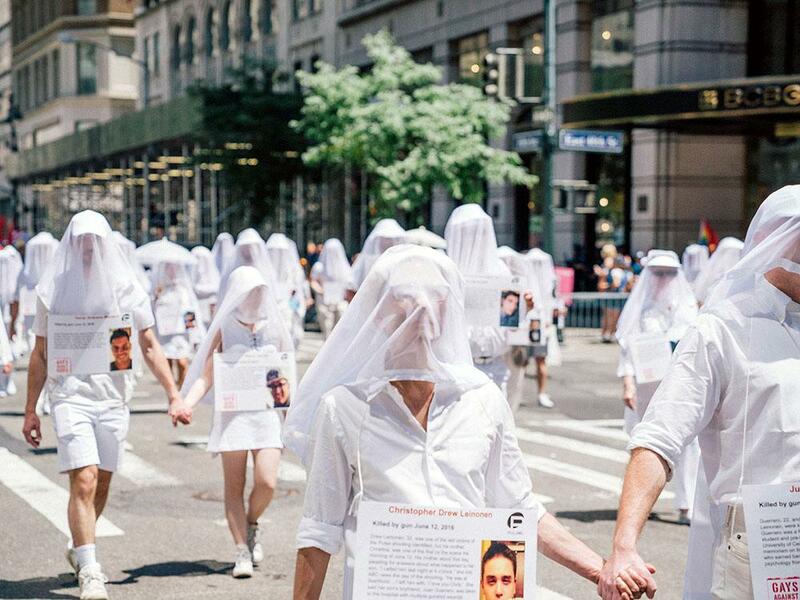 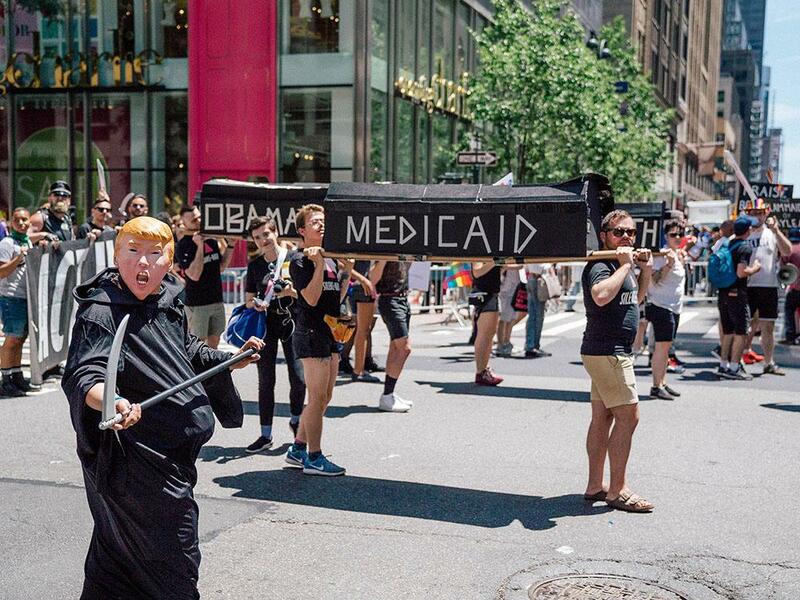 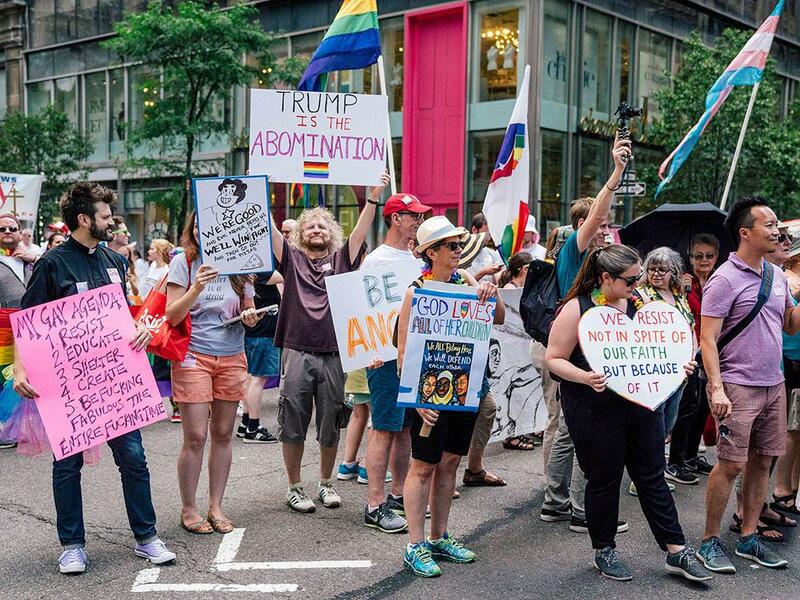 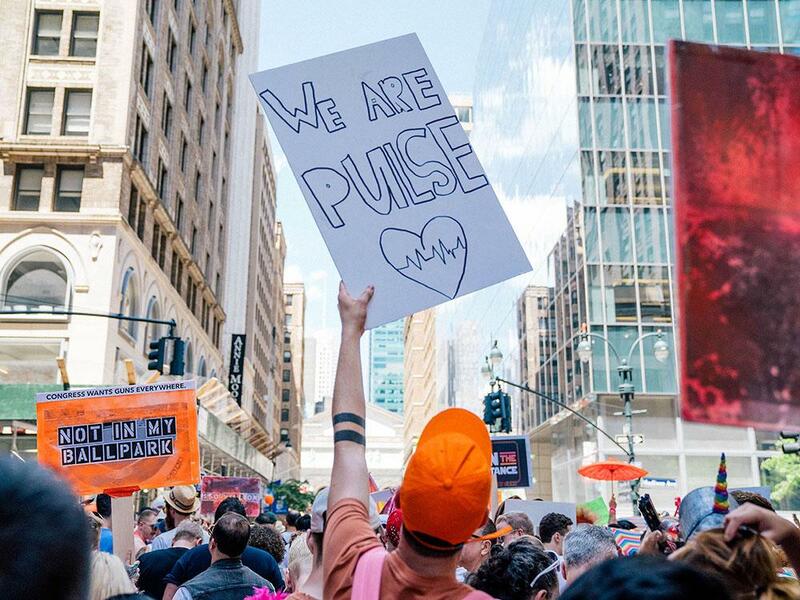 A coalition of 18 LGBTQ organizations shaped the tone of the event, memorializing victims of the Pulse nightclub massacre, declaring #blacklivesmatter, and taking the fight against Trumpcare to the street. 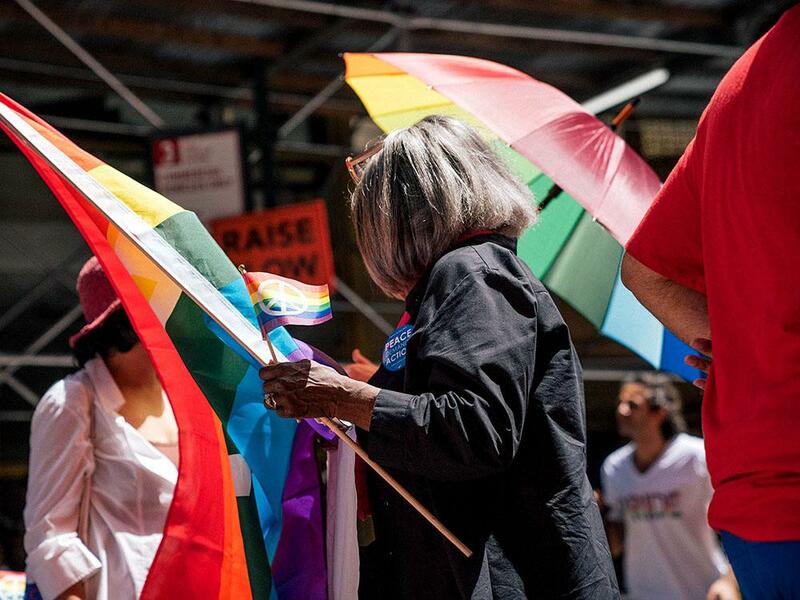 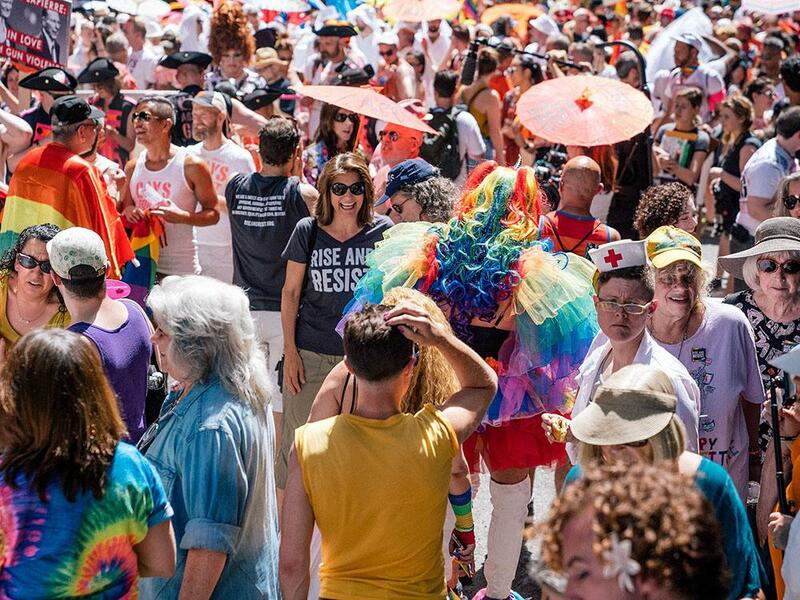 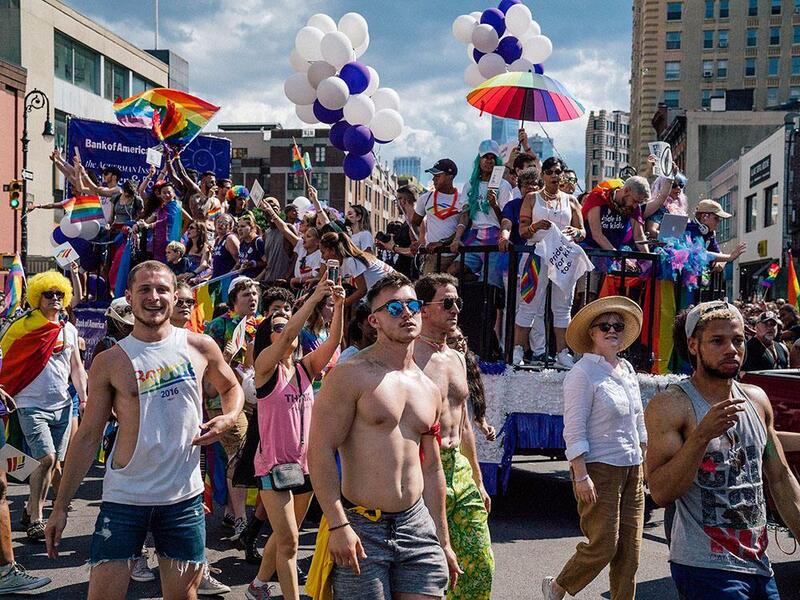 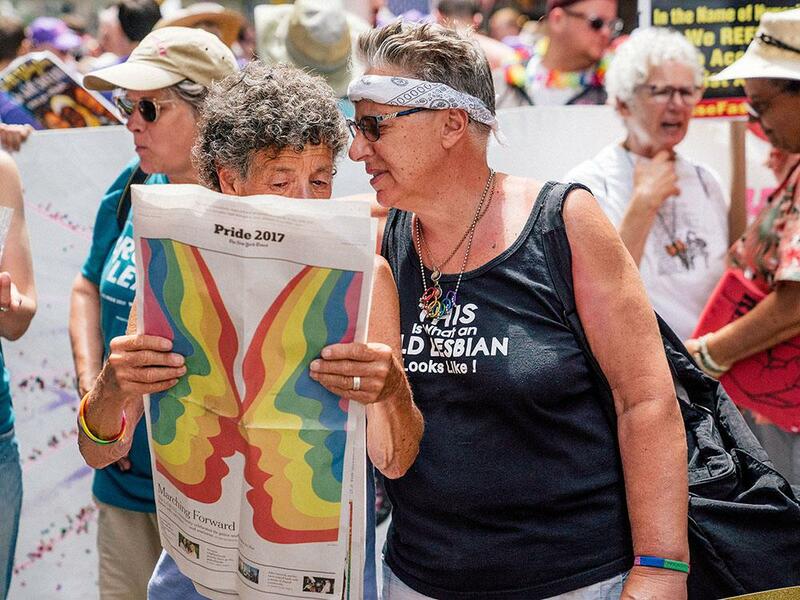 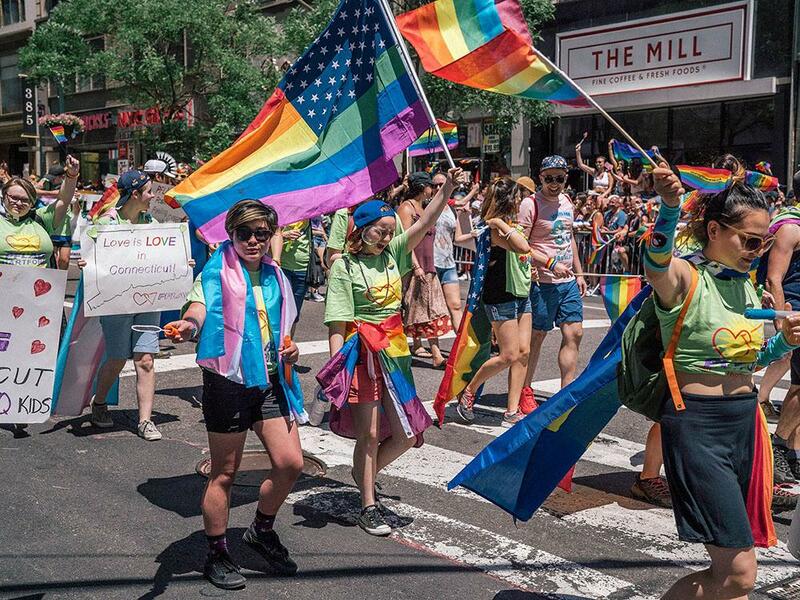 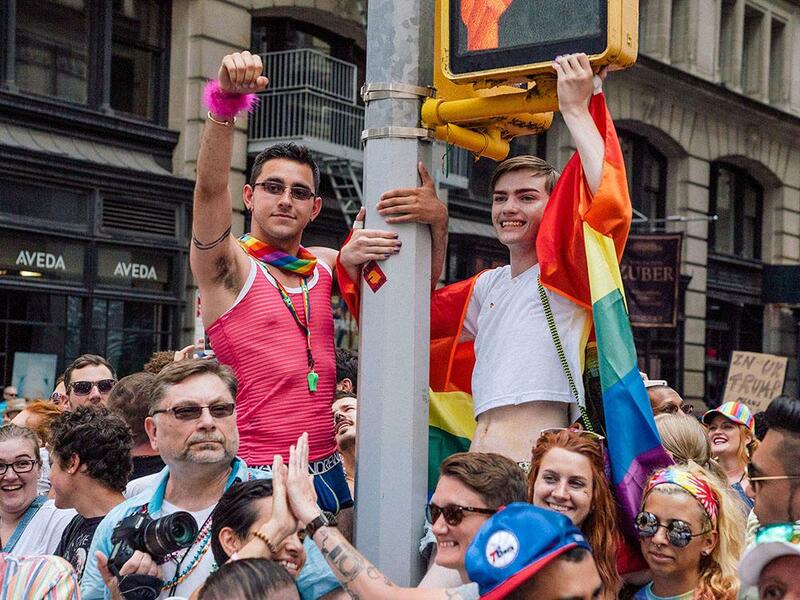 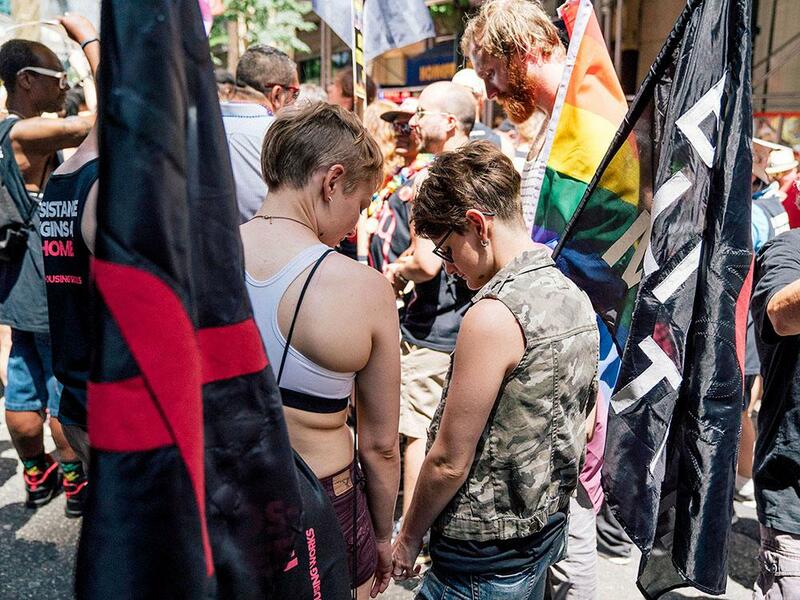 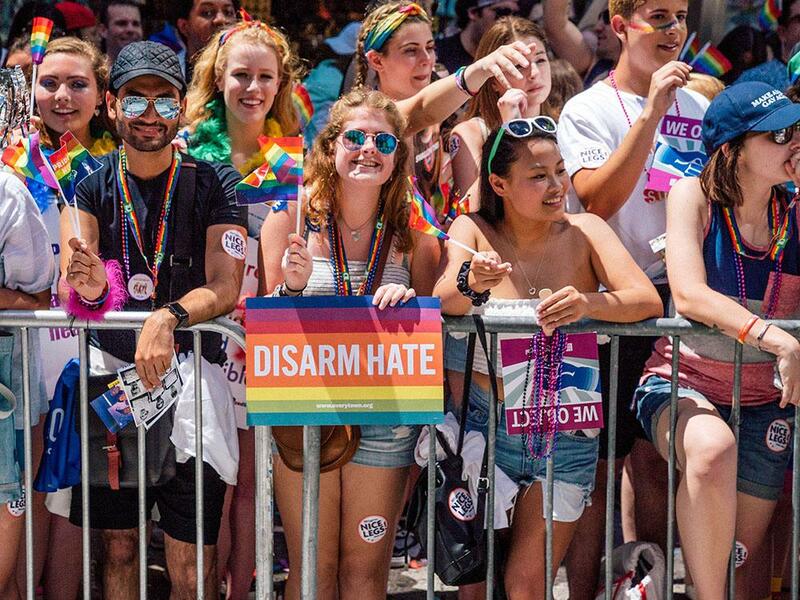 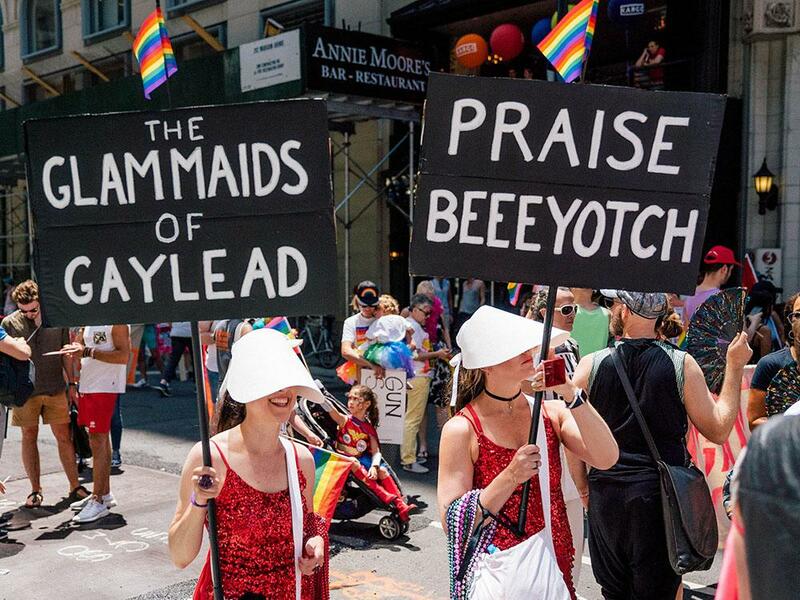 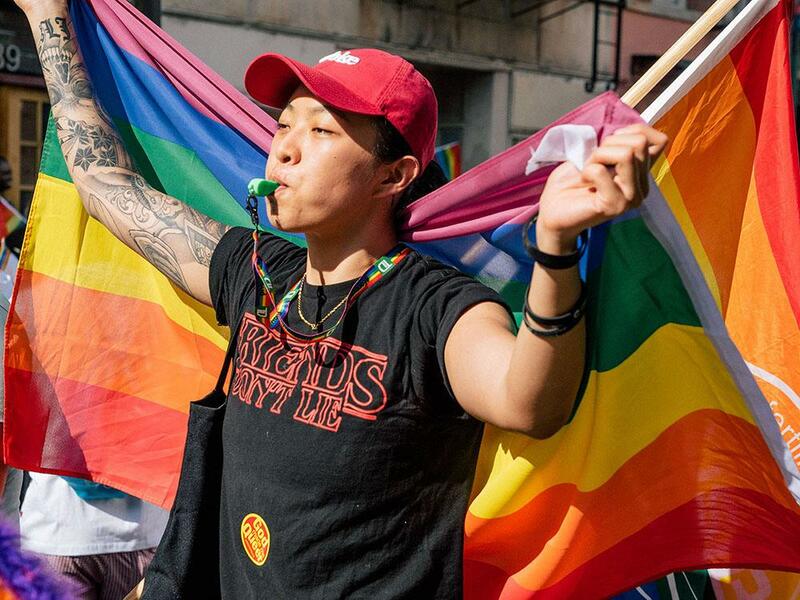 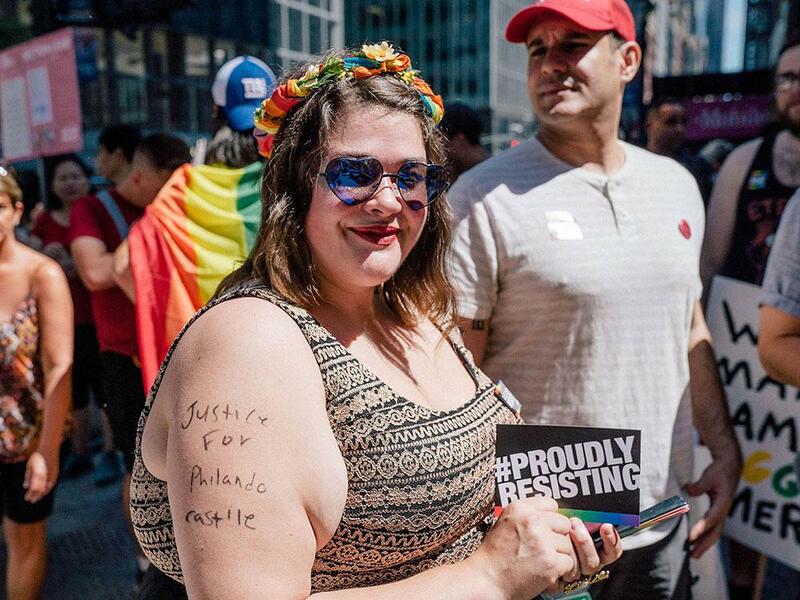 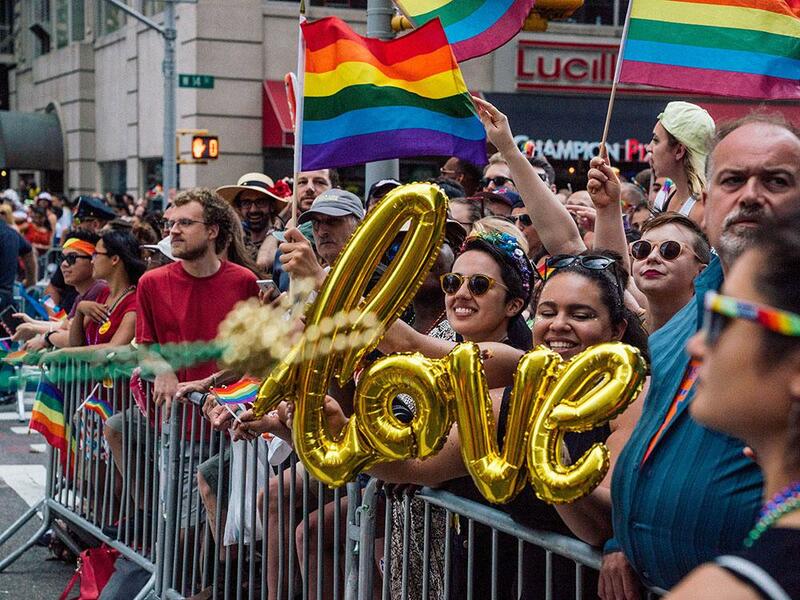 Pride celebrations in many cities have been the subject of critique and protest this summer over what some see as the problematic involvement of corporations and the police and the foregrounding of white gays and lesbians over other queer constituences. 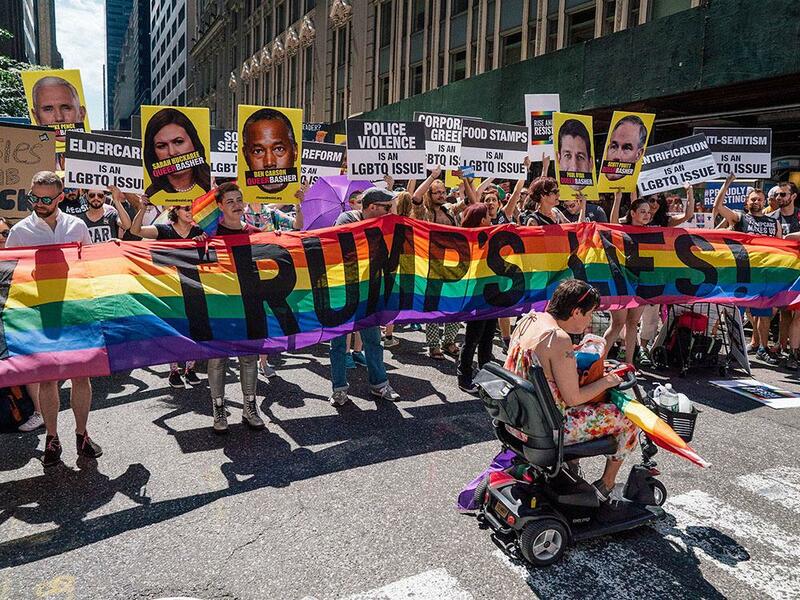 But those debates shouldn’t detract from the incredible diversity of the parade itself, both in terms of marchers and spectators. 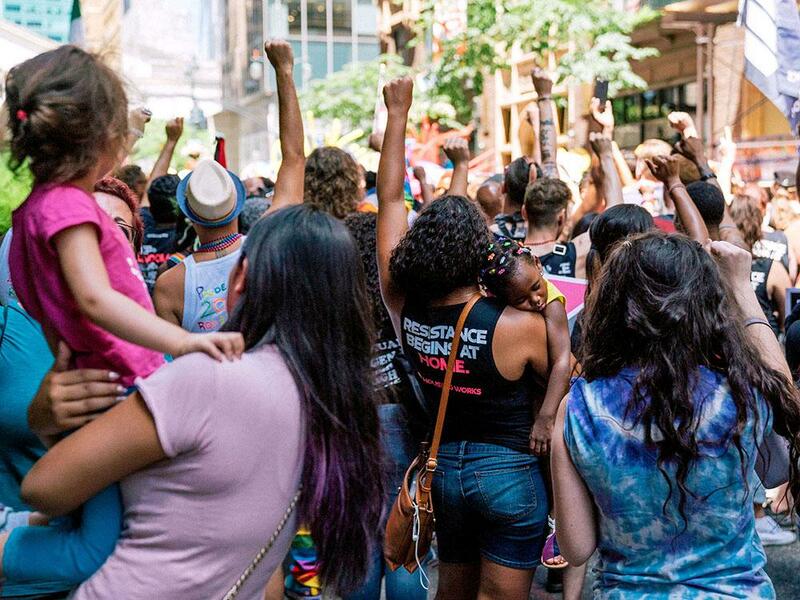 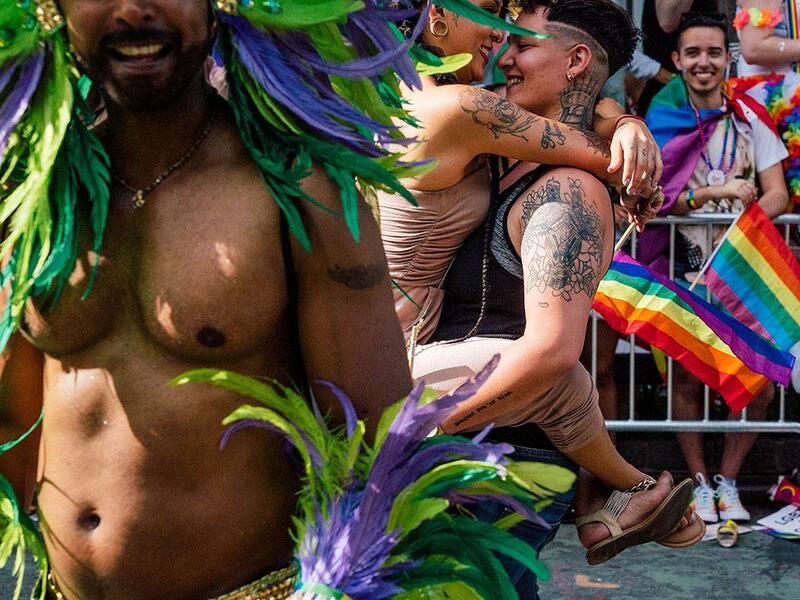 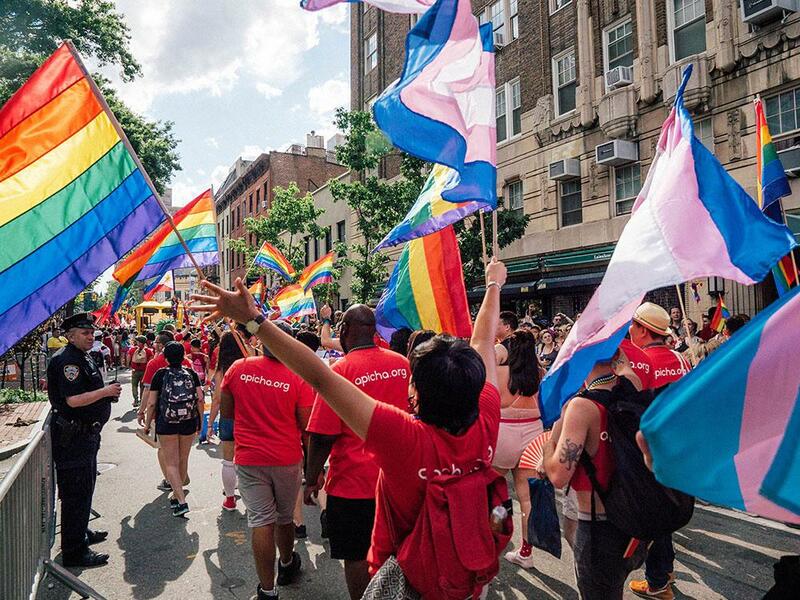 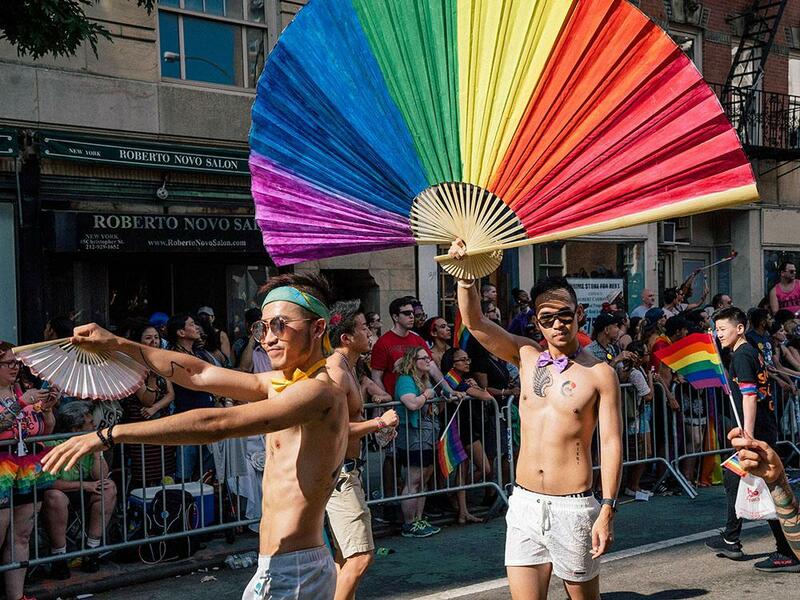 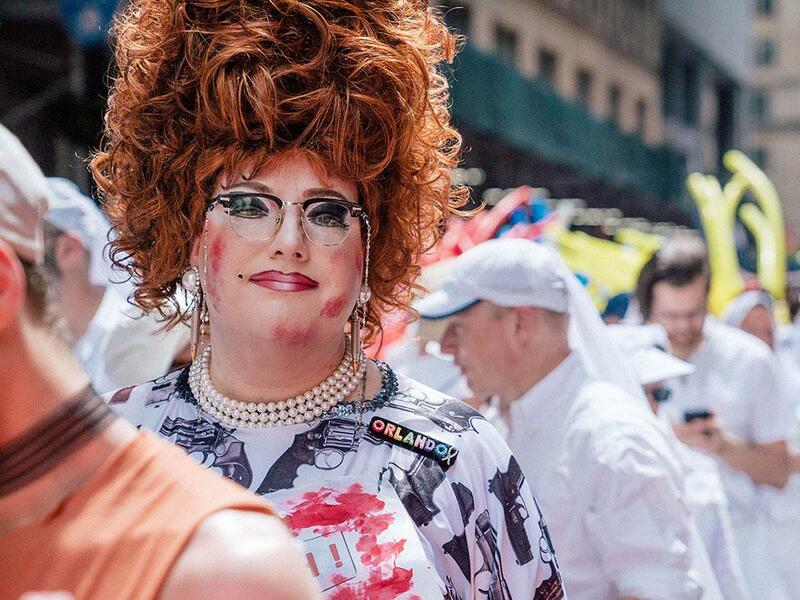 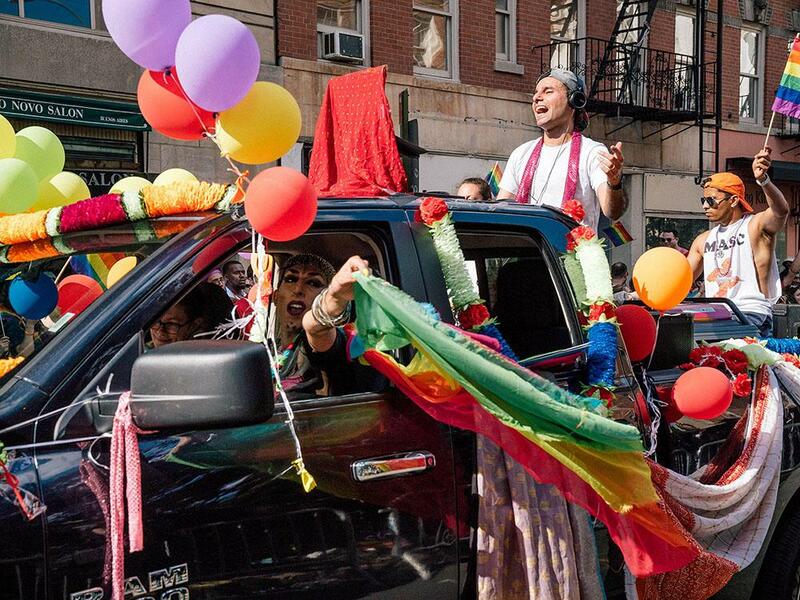 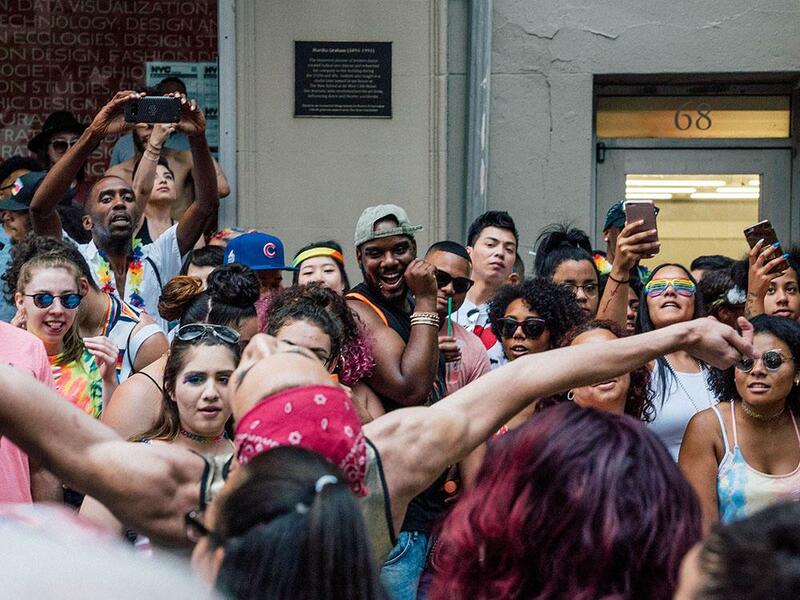 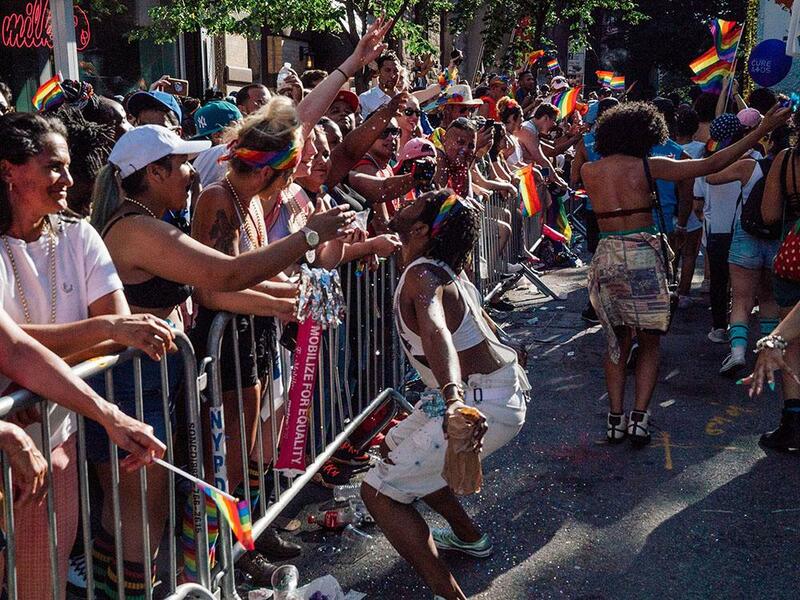 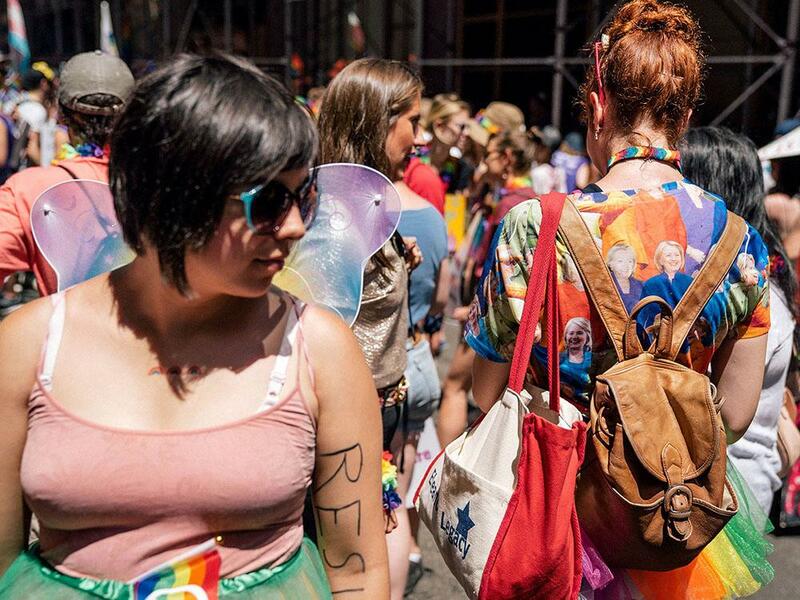 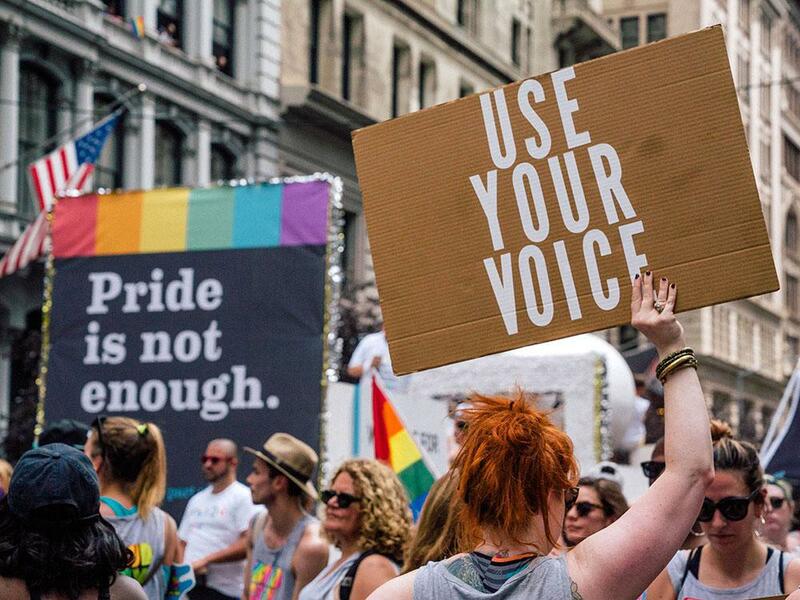 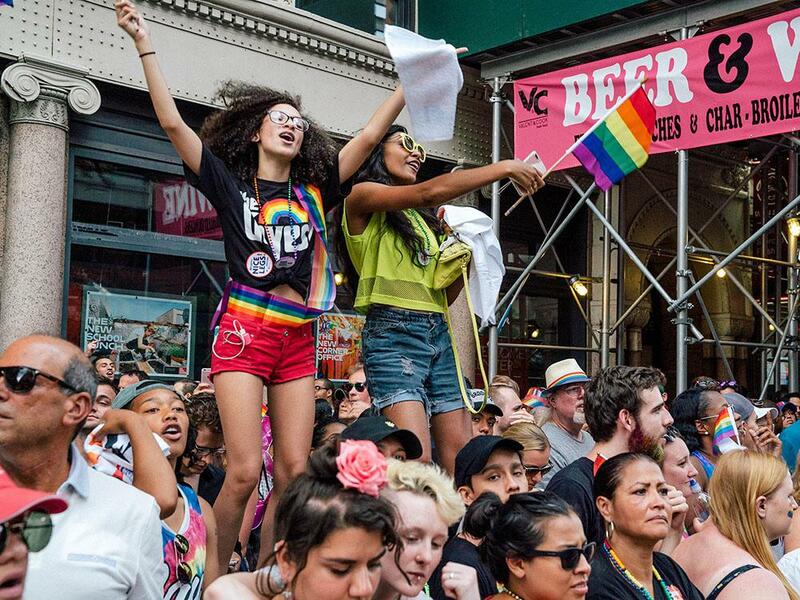 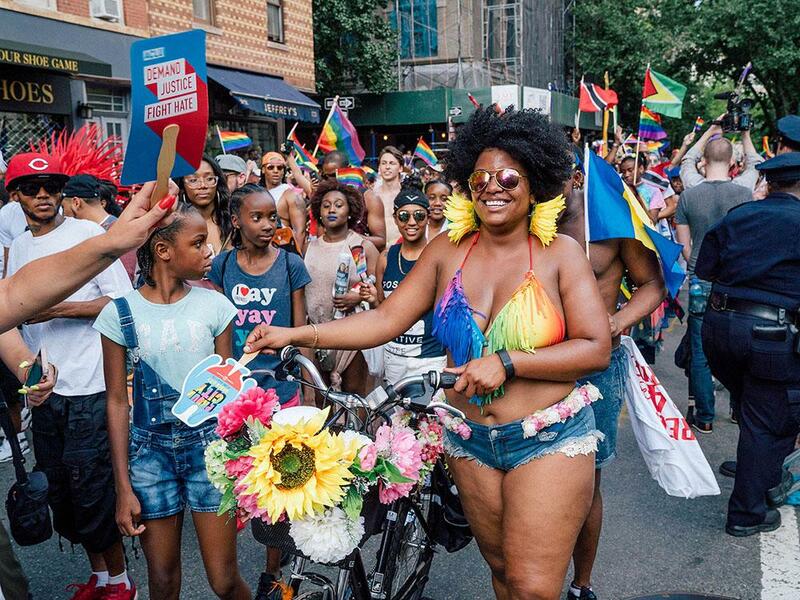 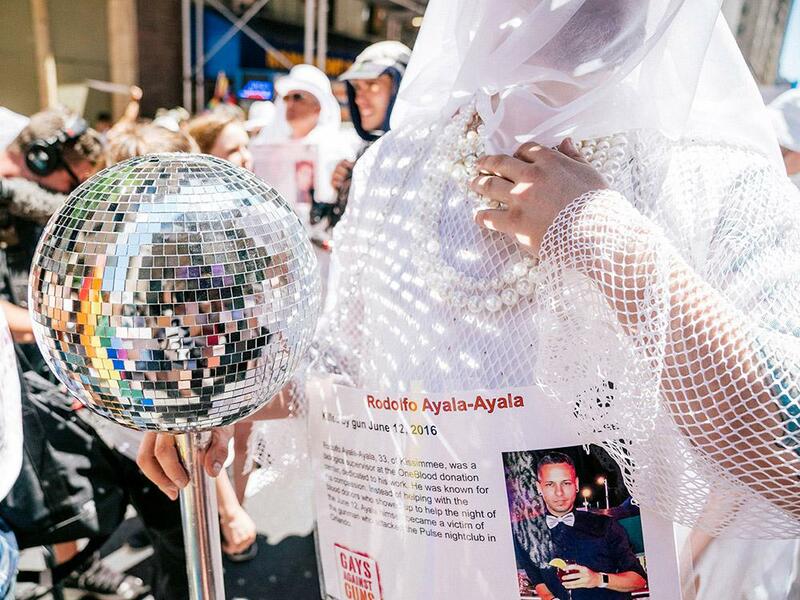 In New York this Pride, revelers celebrated queer community and visibility, channeling a spirit of joyful defiance towards the fights yet to come.